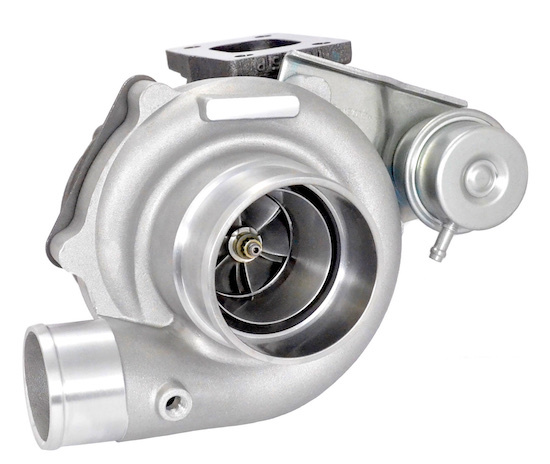 Garrett GT2560R dual ball bearing turbocharger with a T04B Frame Compressor Housing (GEN2 Anti-Surge 3" Inlet and 2" Outlet) and .64 A/R T25 Inlet, internally gated, and "GT28 Style" 5 Bolt Outlet turbine housing. 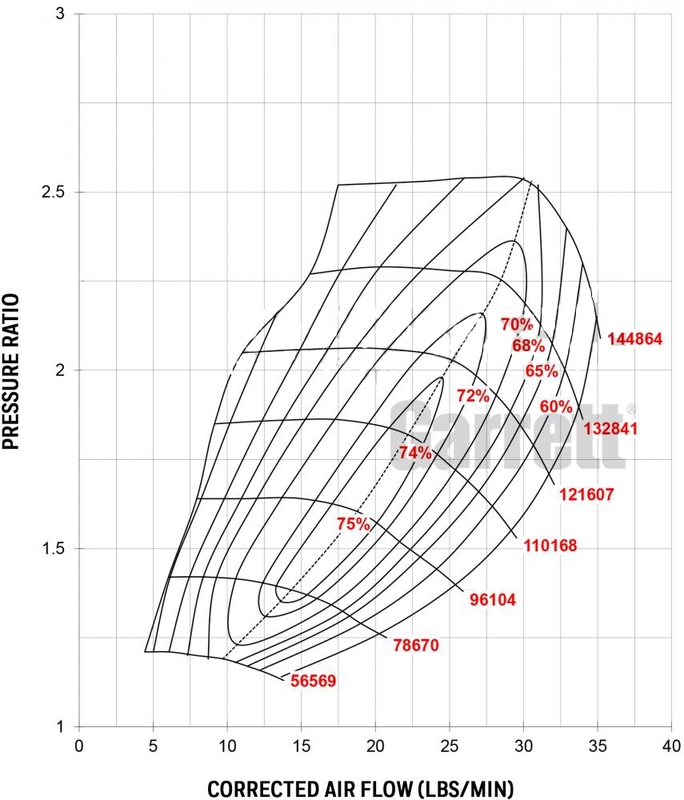 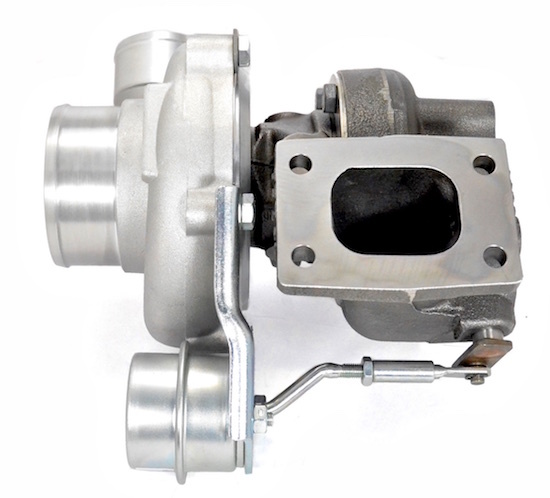 Includes 1 BAR GT28RS Style Wastegate Actuator. 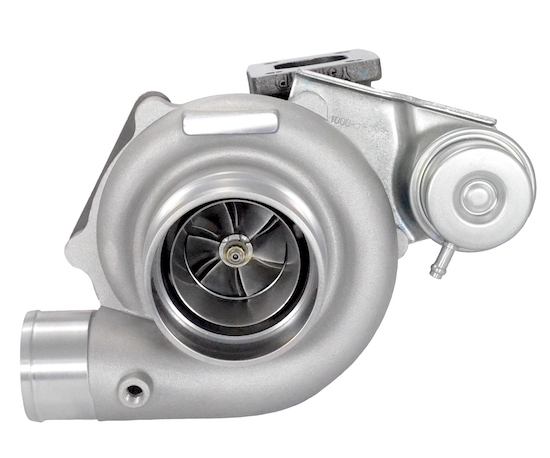 +300HP potential flow. 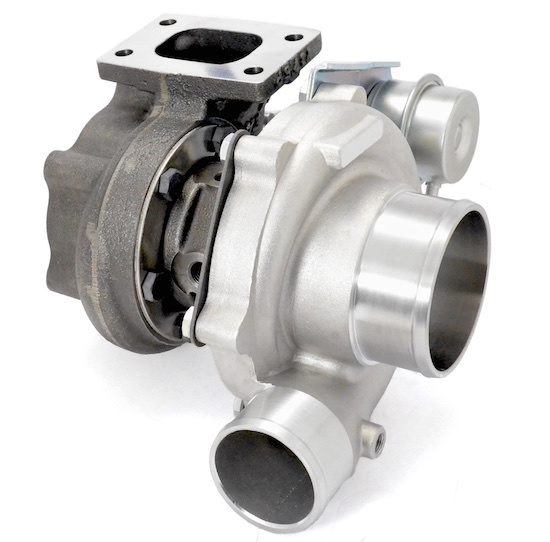 The GEN2 GT28 T04B compressor housing offers a full 3" hose connection inlet and 2" hose connection outlet versus the standard 2 bolt inlet and 3 bolt outlet flange patterns. 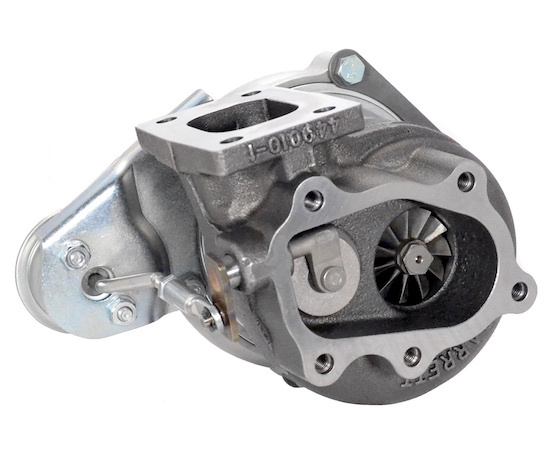 This compressor housing simplifies the installation and enables the Garrett GT2560R to drop directly into existing GT2860RS or GT2871R turbo kits with a T04B 3" Inlet and 2" outlet compressor housing.